We Are Committed to a Nurturing and Healing Patient Experience. Patients are at the heart of everything we do, including our mission. 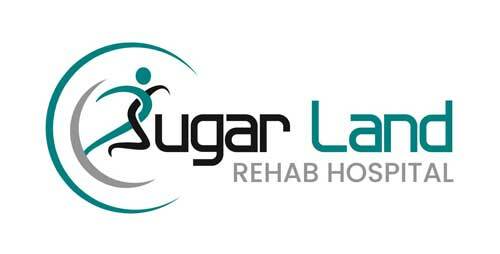 At Sugar Land Rehab Hospital, we provide exceptional medical rehabilitation services in a state-of-art facility within a healing environment. Our goal is to provide the best care and experience for our patients, visitors and providers. During a time where patients and their families are often frightened, we aim to provide emotional and physical comfort, while keeping everyone well informed about treatment plans. 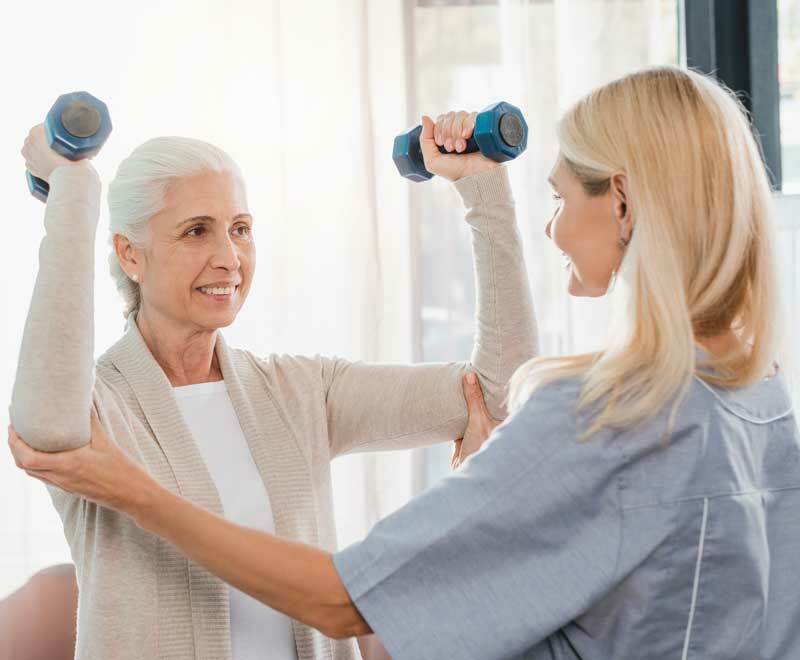 Our entire team of care providers and support staff are experienced in short- and long-term rehabilitative care, and we are always available to answer your questions. We look forward to restoring ability in the patients we serve. Our entire care team, including physicians and physical, occupational and speech therapists provide expert daily and emergency care to our patients. Rest assured your loved one is in great hands. Our care providers, staff members and leaders work harmoniously to restore patient ability as quickly as possible. Treatment plans are customized to each patient’s needs and may include physical, occupational and/or speech therapy. We want patients to live as normally as possible between therapy sessions. Our private rooms feature TV monitors, wifi internet access, secure cabinets and adjustable lighting. Providing appropriate nutrition is always our first priority as it’s critical to patient recovery, but we believe meals should also bring joy. You’ll find our dining program is delightful. Patients live a full life at our hospital. 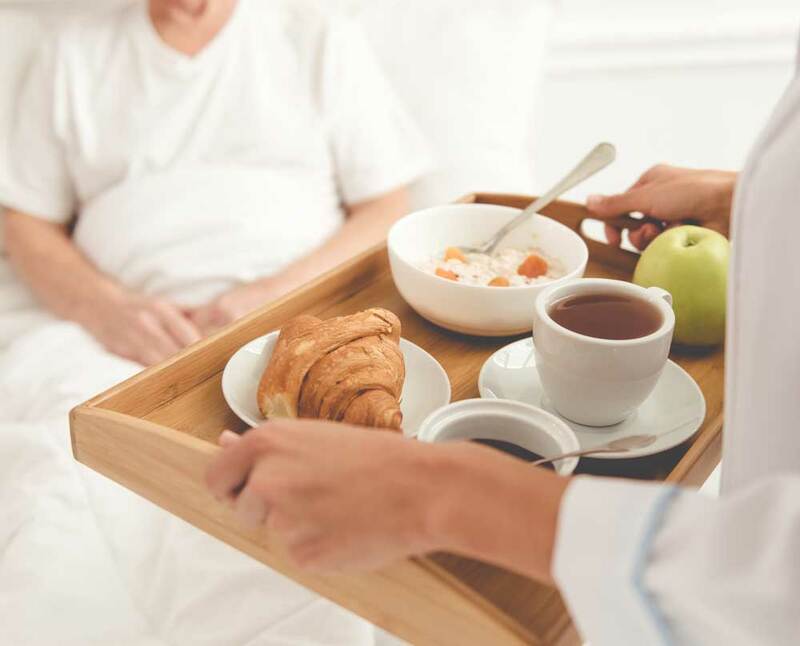 You’ll enjoy meals in your room, a minimum of three hours of active therapy each day and ample time in between to visit with your family and friends. We find that patients recover quicker and are able to go home sooner when they have the loving support of their family and friends. Please respect our quiet hours and our need to maintain a healing environment when you visit. Upon admission, we’ll work with you to confirm coverage is available through your insurance carrier. We accept Medicare. A Day In the Life of a Sugar Land Rehab Hospital Patient. After your initial assessment, you’ll relax in your resort-style private room, which includes a flat screen TV, upgraded lighting and plenty of comfortable seating for your loved ones. Your day begins with the restaurant-style breakfast that you ordered the day before. After breakfast, you’ll meet with your first therapist, which may be an Occupational, Physical or Speech Therapist. Once in the state-of-the-art rehab gym, you will participate in three hours of quality, targeted therapy, as your plan of care dictates. After your morning therapy session, you will have time to rest, enjoy another delicious meal, read or watch t.v. and visit with your family. Your doctor visits to make sure that everything is progressing as anticipated, and then you’ll begin your afternoon therapy sessions. After a nice dinner, you will hopefully reflect on the progress you’ve made that day, while visiting with your family. After visiting hours are over, nursing is always there 24 hours-7 days a week to attend to your needs. You’ll receive your evening medications from your nurse and perhaps some help getting ready for bed. As you rest peacefully in your quiet room and comfortable bed, your body is assimilating the therapy you had that day. Overnight you are gaining strength, endurance and improving in your overall health.